For this weeks From Page To Screen I'll be comparing the book turned film Tomorrow, When The War Began by John Marsden. Here's a bit of back story in case some of you aren't familiar with the novel. 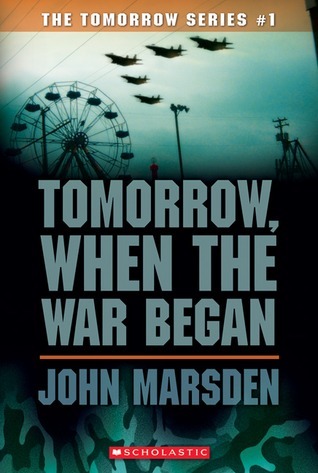 Tomorrow, When The War Began is a novel written by Author John Marsden. The book was originally published in 1993 by Pan Macmillan. 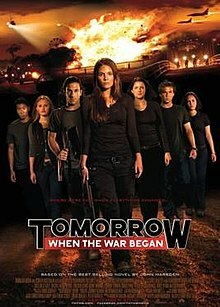 The idea for Tomorrow, When The War Began series came to the Author after watching a Parade where teenagers were paying tribute to past generations. He wondered how those same teenagers would react if they were placed in the same situation as their grandparents. The book released to wide spread praise and remains to this day a beloved book for Australian readers both young and old. Ellie Linton- The main protagonist and narrator of the series. Ellie was born and raised on a cattle and sheep farm on the edge of the town of Wirrawee. She is loyal to her friends, family and country. Ellie prides herself on being the strongest member of the group. Nevertheless, she is often scared and uncertain of her actions. Not wanting to be perceived as weak she tries to hide these moments from her friends. Corrie Mackenzie- Ellie's best friend. Corrie is the one who suggests going on a camping trip into Hell. Homer Yannos- Ellie's neighbor and close friend. Homer is forceful and domineering and has trouble dealing with other strong personalities. Prior to the war Homer appeared to be a wild and irresponsible boy. The war however matures him and he becomes a a strong leader. He relies heavily on Ellie for guidance. Robyn Mathers- A friend of Ellie and Corrie's. Due to her strongly held religious beliefs and stance as a pacifist, Robyn refuses to participate in activities where she could possibly kill someone. Nevertheless Robyn is convinced that what the group is doing is right Due to her calm nature under pressure Robyn is looked up to by members of the group. In case some of you aren't familiar with the film, here is a bit of back story. Tomorrow, When The War Began is a film directed by Stuart Beattie and was released September 2, 2010 by Paramount Pictures. Tomorrow, When The War Began cost $27 million Australian to make and grossed only $16 million worldwide. Many critics were quick to point out the similarities to the film Red Dawn. Despite this the film has gained praise for sticking close to its source material. The group avoids driving around during daylight as much as possible to avoid being spotted. The group is shown driving during the daytime multiple times. The group gather together and head out to Hell pretty quickly. The group plan what to take and spend time goofing around before heading out on their trip. The group are all around the age of 16. The group looks and acts more like University students. The story has a subplot involving a character called The Hermit. This is omitted. Ellie documents everything in a notebook. Ellie documents everything with a camera. Ellie wonders if she has feelings for Homer. Ellie treats Homer more like a big brother. The occupying force is largely a background character. It is never mentioned who actually invaded. The occupying force is distinctly Asian and we learn a coalition of Asian countries jealous of Australia's resources have banded together to take them. Only Ellie, Fi, Homer and Lee are present at the bridge when the tanker is blown up. The entire group is present during this scene. While in the tanker Fi and Ellie decide to talk about relationships. So they aren't overheard Fi turns off the walkie talkie. This action nearly gets them killed as Robyn can't get through to tell them enemy forces are creeping up on the tanker. This doesn't happen. *If I remember correctly that is. Kevin abandons Corrie and Ellie when they are spotted. Due to being unfed, when the group returns to their homes many pets and livestock lay dead. This is downplayed significantly. The group doesn't really care why they were invaded. They do care about stopping it though. The group discusses they must've been invaded for their resources. These are the major differences I noticed when the book was taken From Page To Screen. Which however do I prefer? I didn't like that they aged up the characters. A few years makes all the difference in how someone reacts to situations and it is really noticeable if you've read the book. I definitely feel this week goes to the movie even though it is a really close adaption of the book. However, since I do like the book as well I'm calling it a draw. Both versions of the story have positives and negatives but neither really outdoes one another. 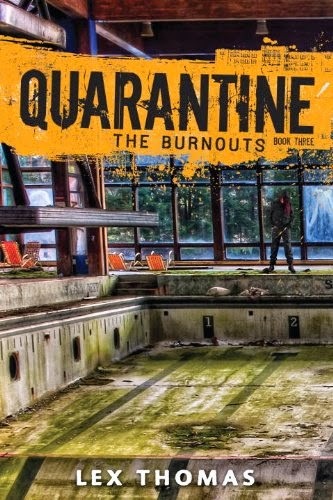 Definitely read this book if you haven't already. It's really one of the better invasion type series around. However, don't write off the movie because of its lack of commercial success. The action in the movie is superb and I loved the look of the film. _________________________________________Well that about wraps up this weeks From Page To Screen. Have a recommendation for an upcoming From Page To Screen, let me know in the comments below! What is your favorite quote or scene from Tomorrow, When The War Began? If Invaded would you return to town and fight or stay safely tucked away while trying to help undetected?